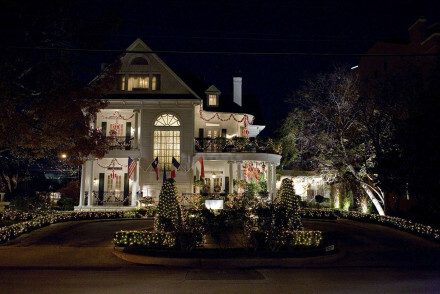 due to the eponymous TV series, partly to its place in American history as the site of JF Kennedy’s assassination, and partly because it embraces much of how we popularly see America: skyscrapers, shopping and cowboys. You'll also find great food and great football - home to the Cowboys team and their cheerleaders. Our guide to the best places to stay In Dallas lets you plan your stay so, whatever you fancy doing, you will find a hotel that suits. The city combines a glittering, glassy, skyscraper architecture - best seen from the Reunion Tower’s GeO-Deck observation platform in the Central Business District - with less showy places such as the ultra-hip Deep Ellum neighbourhood with its rootsy music, craft beers and Latin-American food scene. Dining out in Dallas is one of the city’s big draws whether you want barbecued spare ribs, spicy Mexican, pizzas, steaks, old-fashioned burgers, smart French or to dine in an upscale oyster bar. Want to let your hair down? Head to River Ranch at Texas Horse Park and go on a horse trail ride led by real Texan cowboys. And when it comes to shopping, Dallas doesn't disappoint - with more malls per capita than anywhere else in the US. One of the city’s most evocative museums is the Sixth Floor Museum, a memorial to President John F Kennedy's assassination. The Dallas Museum of Art has works by Edward Hopper, Rodin and Winston Churchill. Visit on Thursday night and you’ll find live jazz in the atrium. For modern art, head to the Nasher Sculpture Center with works by Calder, de Kooning and Miró. Spend a day at the Dallas Arboretum and Botanical Garden, full of a wonderful variety of flower displays all year-round. Take the kids on a day out to the 106-acre Dallas Zoo, home to a wide number of exotic animals. So, decide what should be on your tick-list and use our choice of the best places to stay in Dallas to plan your stay. 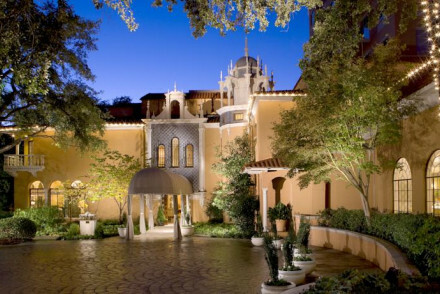 Rosewood Mansion at Turtle Creek is a grand-tour, 1920s, European style hotel with marble floors and ornate fireplaces. There’s an elegant courtyard pool as well as in-room spa treatments. Hotel St Germain oozes French fin-de- siècle elegance with dramatic silk-draped four-poster beds and a scattering of antiques. 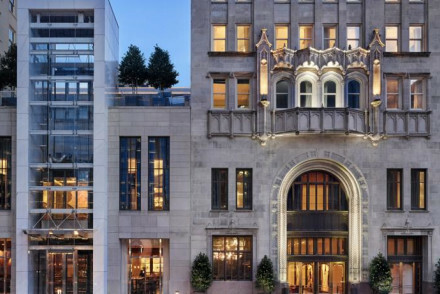 The Joule is a smart neo-Gothic spot boasting lavish rooms which expertly mix art-deco and contemporary elements. This 5* property also boasts a rooftop pool with fantastic views of the city as well as a fine dining restaurant and extensive spa facilities. The large luxury Rosewood Crescent in uptown Dallas has a choice of Japanese food at Nobu, with stunning views across the city, or a more relaxed, all-American choice at The Conservatory. Generous, contemporary-style rooms plus pool and spa, too. The average daily temperature in Dallas is 32°C year-round! If you want to avoid crowds of tourists then consider avoiding the peak of summer. International visitors can fly into Dallas Fort Worth Airport, or if you're coming from elsewhere in the USA then there's also Dallas Love Field. Both of these are well served by public transport links to the city centre. American Airlines and British Airways fly direct from Heathrow to Dallas Fort Worth the journey time is approximately 10hr30mins. For more ideas, browse our list of the best places to stay in Dallas. Expand your search to include all our Texan recommendations. Neo-gothic architecture dating back to the 1920's. Lavish rooms mix art-deco and contemporary style. Great on-site restaurant, bar and coffee shop. Top floor offers penthouses and a pool with city views. Ultra-modern vibe, cutting-edge design - it's 5* star luxury. 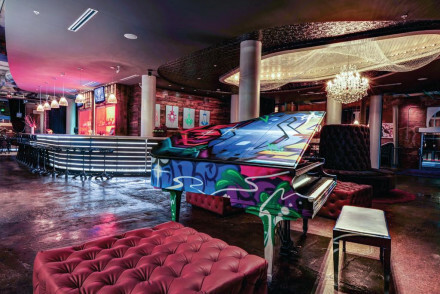 A cool new addition to the Dallas hotel scene. Loft style rooms with exposed brick, funky modern art and extremely comfortable beds. The Terrace bistro serves sustainably sourced food and the rooftop SODA bar offers unbeatable views over the city and a pool. Dallas has arrived! 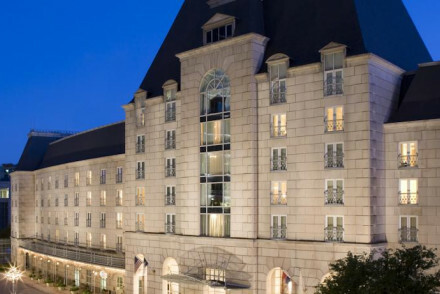 Uptown Dallas luxury hotel ideal for business or leisure travel. Large, contemporary rooms with city views, seating area and all the mod-cons. Japanese cuisine at Nobu, or head to the The Conservatory for an all-American affair. Relax at the spa & pool or explore the arts & cultural scene close by. Spa - The Spa at the Crescent is an award winning destination with a wide range of treatments on offer. Sights nearby - Check out what is on at the Undermain Theatre during your stay. Great walks - Head to Klyde Warren Park for urbarn deer park. 1900 French style residence turned boutique landmark with fireplaces, 200 year old tapestry & contemporary amenities. Large, classic rooms home to four-poster beds, antique furnishings and complimentary breakfast. A popular gourmet restaurant with a seasonal menu is for all. Great exploring base! Great walks - White Rock Lake is a stunning backdrop for a stroll. Sights nearby - African American Museum focusing on art and history. 1921 European-style mansion turned unique, elegant hotel with restored marble floors, ornate fireplaces and stained glass windows. Large, comfortable rooms with all mod-cons, access to a courtyard pool and in-room spa treatments. Restaurant is a contemporary fusion of classic French and American. Great walks - Klyde Warren Park is an urban deer park great for all the family. Take a picnic. Sights nearby - Check what is on at the The Texas Theatre during your stay. Cooking classes - Food Festivals throughout the year.